Nebraska just added an electrifying player to its offense. Maurice Washington‍, a 3-star running back from Trinity Christian High School in Texas, has long been a player that Scott Frost coveted. On Wednesday, Frost officially got his man. In a live announcement on ESPN2, Washington announced that he would be attending Nebraska, over his other finalist, Arizona State. It’s been a whirlwind recruitment between Washington and Nebraska. 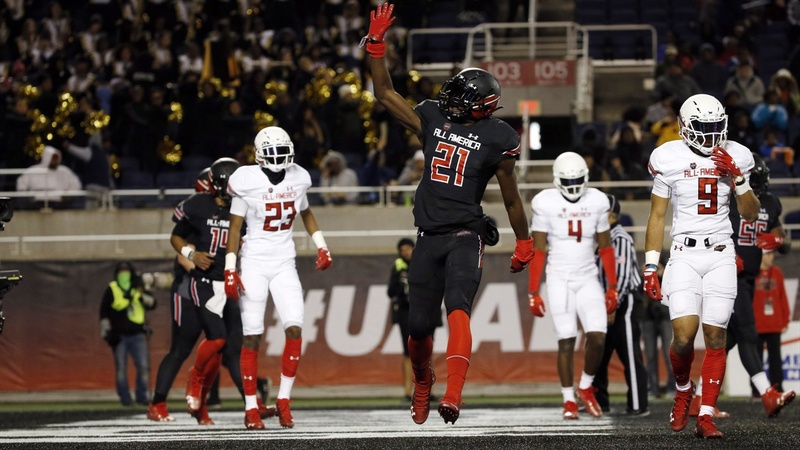 He was largely off the radar until his breakout performance in the Under Armour All-America Game where he was the game’s MVP. In that game against some of the top players in the country, Washington tallied 159 total yards and scored three touchdowns. Predictably, after the UA Game came more attention. Ohio State entered the picture as a serious contender but during Washington's recruitment the Buckeyes' defensive backs coach left the team. The Buckeyes liked Washington as more of a defensive back than running back and pitched that to him. He never ended up taking an official visit to Ohio State. His only other official besides Nebraska was to Arizona State where he was very impressed by what the Sun Devils had to offer. Winning Washington’s signature is a significant win for Frost and his staff. They put in a big effort to connect with Washington, his mother and those in his camp. That was shown by the staff sending six coaches to his high school last week then going to California to meet with his mother ahead of the official-visit weekend. Nebraska also stayed patient as Washington worked to get qualified and fix his academic situation. More to come soon for our Varsity Club Premium members.